Falafel is an ancient dish that has been popular in Egypt and now the rest of the Middle East. The history of falafel goes back to the days of the pharaohs. The name most likely devise from the Arabic word for spicy, mefelfel. The Copts, an Egyptian Christian sect, also claim to have invented the ta’amia, the fava-bean fritter that is parent to the falafel. It was said that falafel invented in Alexandria. Since Alexandria is a port, sailors from all over took the delicious little patties home, and eventually falafel became popular fasts food all over the Middle East. Accordingly, Middle Eastern Jews overwhelmingly favored chickpeas solo in their falafel. Falafel was enjoyed in salads as part of appetizer or as a snack by itself. An early Middle Eastern fast food, falafel was commonly sold wrapped in paper, but not served in the familiar pita sandwich. 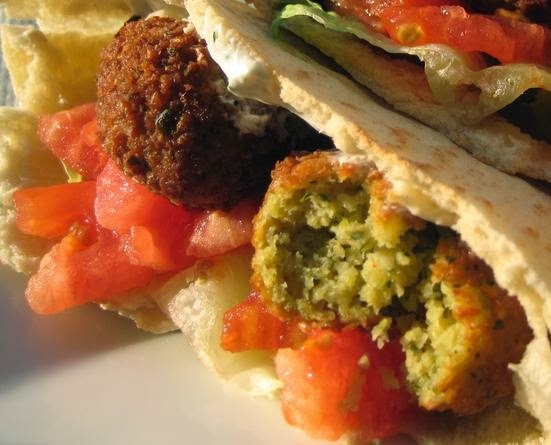 Beginning in the 1950s, Yemenite immigrants in Israel took up making falafel to earn a livehood, utilizing the chickpea version common in the Levant and transformed this ancient treat into the Israeli national street food.